The Model 8601-RB Handy-Grip is a rugged, industrial control that's built with the capability of incorporating a multitude of control functions for the most demanding equipment. 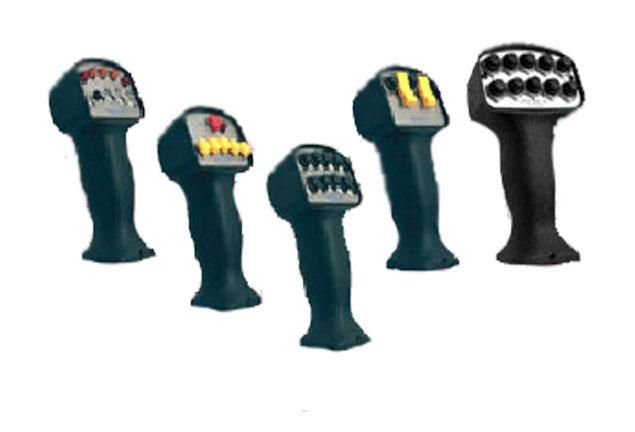 We can supply ten thumb-operated functions with three finger-operated triggers. Or a combination of pushbuttons, rockers, toggles and indicator lamps can be supplied. Give us a call so we can meet your exact equipment requirement.